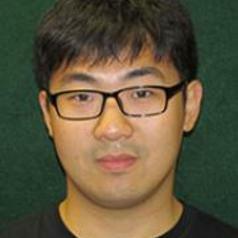 Ming Wei is a PhD candidate in the School of Earth and Environmental Sciences at the University of Queensland. His research project is an investigation of the impact of high-speed rails in China. Weather intrinsically influences our daily travel behaviour. It is well known that inclement weather increases traffic congestion and increases the risk of road accidents and at the individual level has the potential to reduce peoples’ travel desire and induce modal substitution. However, what is less well known is that how weather influence public transport passengers’ various travel behaviour at different temporal and spatial scales. This study, draws on smart card data from Brisbane, Australia allied with weather station data that are employed together to investigate the influence of weather on public transport passengers’ travel behaviour. By using a suite of spatio-temporal analytics coupled with a regression modelling approach, this study aims to provide a deeper understanding of the weather-transit behaviour relationship and shed light on establishing a more weather-resilient public transport system.